I hadn't realised it's been such a long time since I updated Datagenerator… I'm going to put that right today by releasing a new build that will eventually turn into version 0.5 and be at the heart of the upcoming Swingbench 2.6. 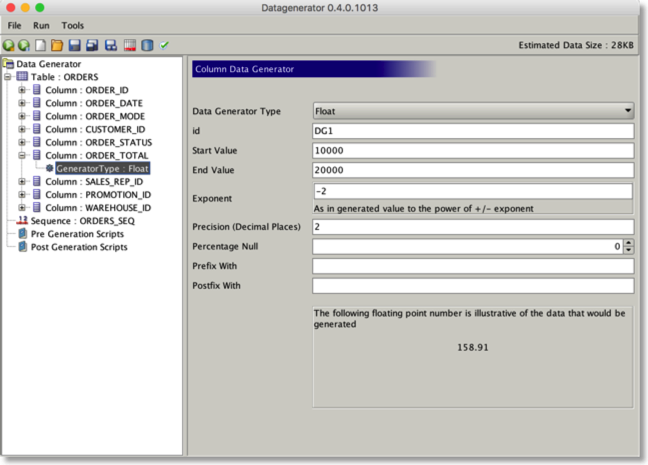 I've had to update Datagenerator extensively to support some of the new benchmarks and changes that the next version of swingbench requires. Some of the changes I've made are. Support for a new generator to create arbitrary precision floating point values. It also includes a preview of the data to be generated. This will become the standard moving forwards. 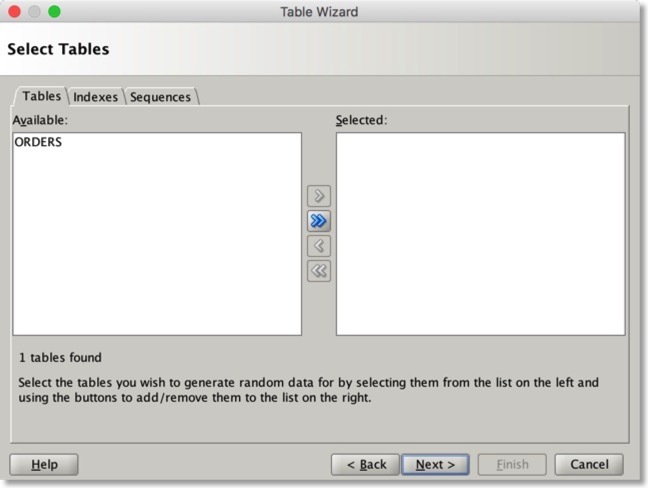 Number generators can use the row count of another table to act as the end value. This makes it simple and quick to create foreign keys. Reverse Engineering now supports Index and sequences. The reverse engineering process also uses the statistics from tables to seed the generators. Generators based on values from other generators i.e. use the "first_name" created by another generator to act as part of an email address. Potentially generators for ZIPCodes, IP Ranges, Points within Polygons. Im releasing a new build of Datagenerator simply because there hasn’t been one for a while. Thats not to say it hasn’t undergone significant changes. Most of them are as a result of enhancements to support schema creation for swingbench. In particular is the introduction of Pre and Post generation scripts. 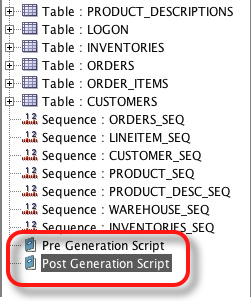 These allow me to run a complete schema creation from within datagenerator. These scripts appear as top level items from within the tree (see below). 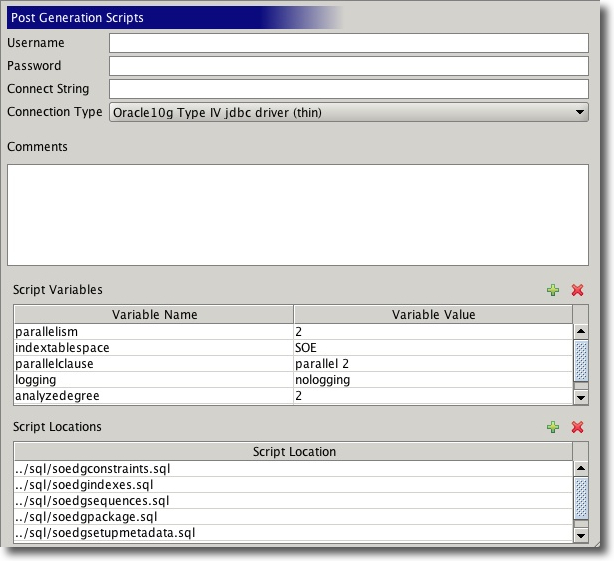 In the side panel you can now include scripts and parameters for the scripts. I’ve also included the script files used for generating the SH and SOE schemas used by swingbench. This should make it easier to understand what is going on and potentially create your own versions of the schemas. In the next release I’m going to try and add support for for well know data items such as zip/post codes, NI numbers, Social Security etc.... as well as allowing users to plug their own data generators in. You can download it from the usual place and as before leave comments below or via the comments page.